I recently had the opportunity to review the BTipsy Cocktail Muddler. 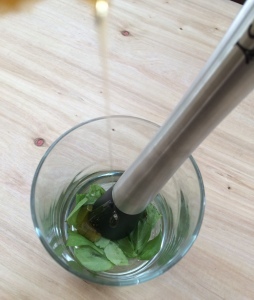 Muddlers are most commonly known to be used for mashing mint leaves at the bottom of a glass to release the flavor. The most popular beverages that require the use of a muddler would be a Mojito and a Mint Julep. Muddling means to combine ingredients by crushing or mashing them at the bottom of a glass, before most of the liquid ingredients are added. The BTipsy Muddler is made out of the strongest material available and will not break when muddling. This bar tool muddler will not peel or rust and is easy to clean! 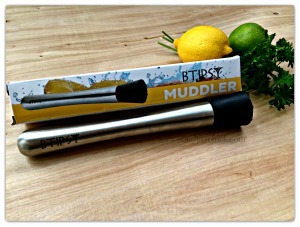 Once finished using the BTipsy Muddler, it’s very easy to clean it by hand or just placing it inside the dishwasher since this Cocktail Muddler is DISHWASHER SAFE. Disclosure: I have received complimentary product through Tomoson for review purposes. The opinions expressed in this post are 100% my own. Please note that this website contains affiliate product links through Amazon.com. Fitness Water – I was introduced to this idea from my Pilates studio. They always have a pitcher of water infused with fresh herbs and fruit. 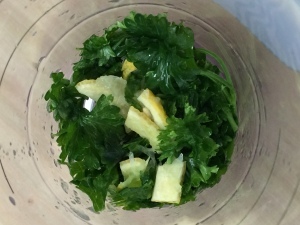 The most common blend I make is lemon and parsley. First I muddle a few sprigs of parsley, then add some thin slices of lemon, chopped. I muddle them together, then fill the glass with water. I let it sit while I exercise, then drink it post workout. 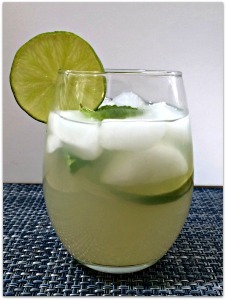 Honey-Basil Iced Tea – I often sip green tea throughout the day. One thing I enjoy is muddling fresh basil with a drizzle of raw honey. Then I fill the glass with cold brewed green tea. Its so refreshing and it reminds me a little of Starbucks Iced Green Tea, which is one of my favorites! 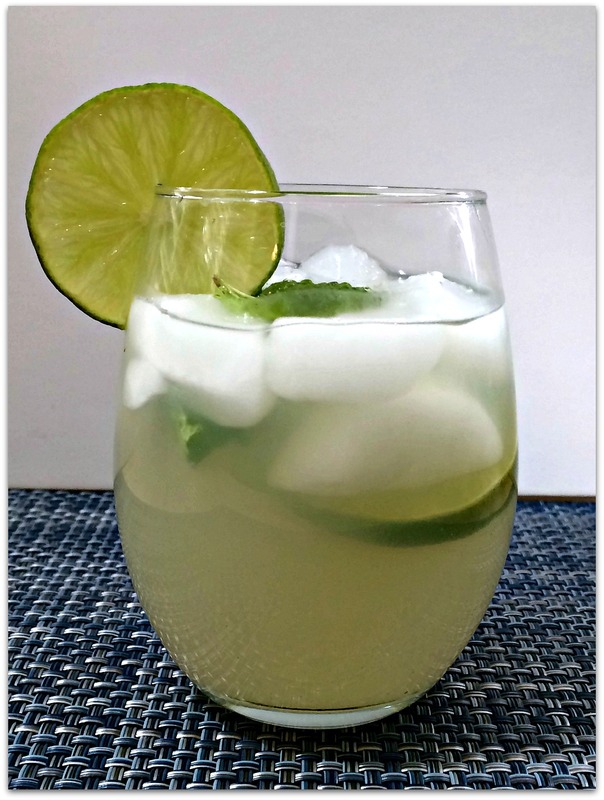 Minted Lemonade – Muddle some fresh mint leaves and add them to some lemonade or limeade, with a couple of slices of lemons or limes. Muddle Fresh Berries in your water, tea or lemonade for added flavor. Muddle Fresh Oregano, Garlic and Olive Oil to top your garlic bread. I am pleased to announce that BTipsy is giving away a Muddler to one lucky reader! Simply follow the steps below and enter to win! *This giveaway is only open to US residents. I would give it to my sister-in-law for christmas, she loves to make drinks! I have always wanted a muddler. I would love it for my morning lemon water! I would use it to make this recipe! I would use the awesome muddler for Mojitos!! Thanks for offering this great giveaway!! Great tutorial! Thanks for the tips! Hi everyone. I thank you for your comments! Just wondering if you have gone through Rafflecopter for entries into the giveaway? The number of entries hasn’t increased this afternoon, but the comments have. If you want to win, you need to enter! Thanks!!! I would use it for crushing up the pomegranate arils in the mason jar when I make flavored vodka. Great idea. Just yesterday I saw some in the store and thought I could use the muddler to crush them for a homemade salad dressing too! I would definitely use this for avocados! My family eats them like crazy! Its great for avocados. I never liked using a spoon to mash them. I always make such a mess. I would use a muddler to mash avocados since I like to make homemade guacamole! looks handy to have around!! I’ve not used one before! I don’t have one and I would use it for when I make Mojito, one of my fav drinks. I never considered these options before!!! I love gadgets that have more than one use, so I’m always looking in my utensil drawer to see what else I could use things for. I’ve never even heard of a muddler but I’m loving your ideas for non-alcoholic drinks! Definitely could use one of these! I’d love this! So much simpler.